The recent study on eggs and cholesterol may have some breakfast lovers feeling panicked but don't worry — eggs (like pretty much every ingredient) consumed in moderation can still be part of a balanced diet. In fact, they are an incredibly versatile protein for your morning meal, lunch or even dinner. Eggs are nutritional powerhouses, boasting high quality protein in the whites and a treasure trove of essential nutrients in the yolk, including hard-to-find choline and vitamin D.
As nutritious as eggs are, one of the problems surrounding their relative health value is that they are often served with an entourage of rich ingredients, such as cheese, heavy cream, sausage, bacon and butter. Sticking to simpler egg preparations (like hard-boiled or poached eggs) is one way to nix excess fat, but sometimes you want more. Here are three classic egg dishes that we’ve lightened up for any occasion. Satisfying and simple to make, a classic three-egg omelet doesn't have to be a diet-ruining disaster. 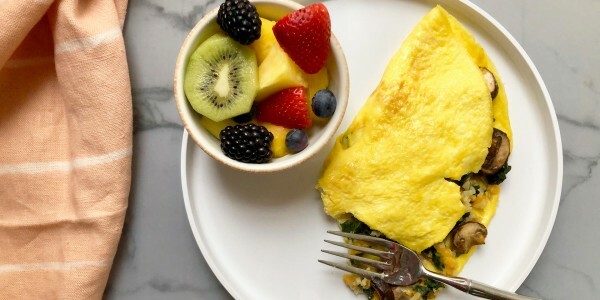 Omelets are often just filled with cheese or processed meats, which offer extra protein, but neither of these ingredients helps us meet those challenging five daily servings of fruits and vegetables. We’ve used the power of the cloud-like omelet to deliver some serious nutrition and filling fiber. The addition of cauliflower adds more choline, while spinach provides an important boost of iron, calcium and folate. To cut down on the fat and cholesterol, try scrambling three egg whites with one yolk. These hearty sandwiches are perfect for the morning after a big night out since that savory and salty flavor combo really hits the spot. This fast-food staple is traditionally made with pork sausage patties, and is often served atop a buttermilk biscuit or on a roll. 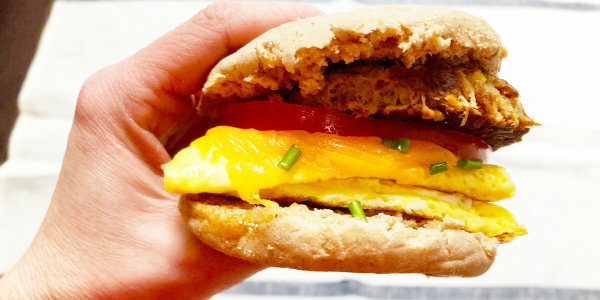 And while they're delicious, many breakfast sandwiches contain over 500 calories, more than 1,300 milligrams of sodium and 35 grams of fat. Plus, you're not getting a ton of additional nutrients besides the vitamins and minerals found in the egg. We slimmed ours down by opting for chicken sausage and using just one egg. While we're using a whole wheat English muffin, if you're looking to cut carbs even further, try serving the sandwich on portobello mushroom "buns" — cowboy hats off to "The Pioneer Woman" star Ree Drummond for that little tip. Our tasty sandwich has just 315 calories, about 14 grams of fat and 610 milligrams of sodium. 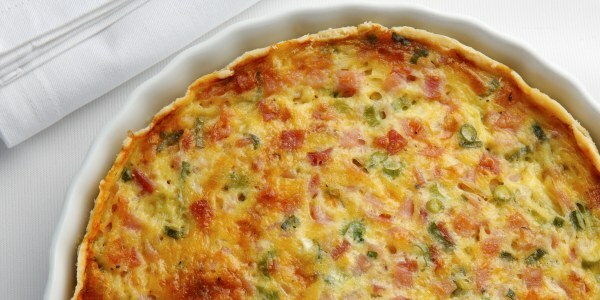 Quiche Lorraine is a traditional French recipe that became part of American menus in the 1950s. The classic recipe calls for pork ham or bacon, Gruyere cheese and plenty of heavy cream. While delicious, a serving of this decadent quiche can easily top 700 calories and 70 grams of fat. But there are several swaps you can make to lighten up this recipe, depending on what you already have in your fridge. Instead of cream, we used 2% milk and opted to use turkey bacon. Make sure to read the label of any processed meat products and compare the sodium content with any higher-fat counterpart. Scallions and sautéed shallots add another boost of flavor without piling on the calories. The result? A satisfying slice of this quiche has just 265 calories, 17 grams of fat and 390 milligrams of sodium. Frances Largeman-Roth, RDN, is a nutrition and wellness expert, writer, mom of three and best-selling author. Her books include "Feed the Belly," "The CarbLovers Diet" and "Eating in Color." Follow her on Instagram and check out her website. Frances Largeman-Roth, RDN, is a nutrition and wellness expert, writer, mom of three and best-selling author. Her books include "Feed the Belly," "The CarbLovers Diet," and "Eating in Color." Follow her on Instagram and check out her website.